Byfield: Wearing his junior fireman's hat, Parker Pierre, 3, of Byfield grabs hold of the wheel of a fire engine. 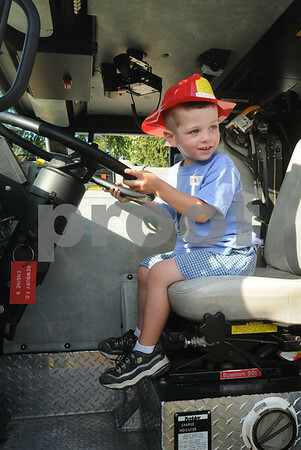 He was at Wednesday night's Vehicle Night in Byfield held at the Newbury Public Library. Bryan Eaton/Staff Photo Newburyport News Wednesday July 15, 2009.